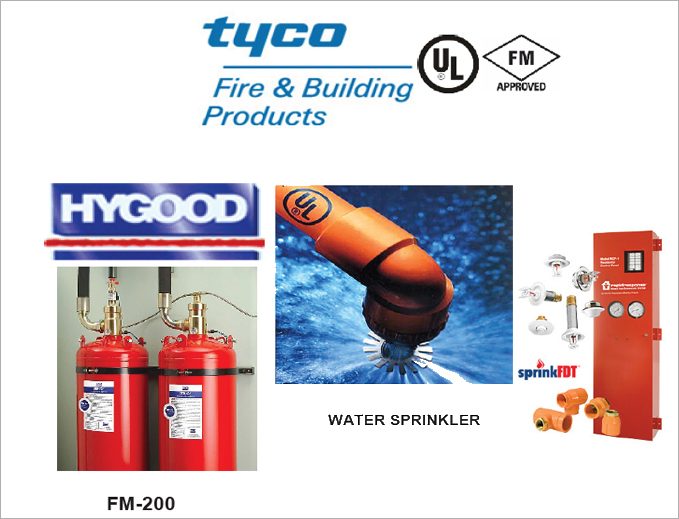 • Tyco Fire Suppression & Building Products –Part of Tyco International and a leader in the development, manufacture and distribution of fire protection, mechanical grooved and metal frame supporting products to our distribution and installer customers. • Tyco FS&BP EMEA is active within the geographical markets of Europe, the Middle East and Africa, operating through regional stocking centres for faster response, quicker delivery & on the spot local market sales & technical support. Tyco FS&BP is home to some of the world's most recognised Fire Protection brands. Tyco FS&BP offers literally thousands of fire protection and fire suppression products, so if you cannot readily see your solution on this site, contact one of our regional offices here and we will be happy to assist. • HYGOOD designs and supplies a complete range of fire suppression systems to the industrial, commercial and marine installations, through its network of highly trained and skilled distributor/installers. From its UK base, HYGOOD provides expert product design, development and international performance approvals for all of its products as well as offering a unique skills set which is widely accepted as a centre of fire suppression excellence. HYGOOD systems provides fire protection and suppression solutions for commercial, industrial, special risk and marine applications. • HYGOOD is an ISO 9001: 2000 quality approved company and is a part of the Tyco Fire Suppression & Building Products Group.